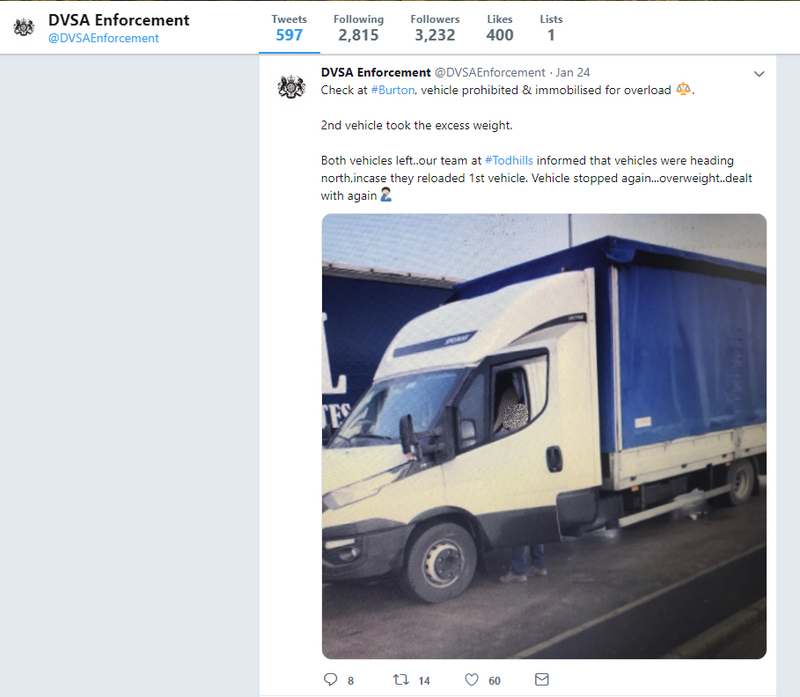 It’s official – @DVSAEnforcement is our new favourite Twitter account. It’s lovely knowing that somebody is out there catching all the rogue operators who are flouting the rules, gaining an unfair advantage and endangering lives. Check out this post for example, about a company who glued plastic wheel nut cover caps over snapped wheel studs, and thought that the vehicle would be safe. 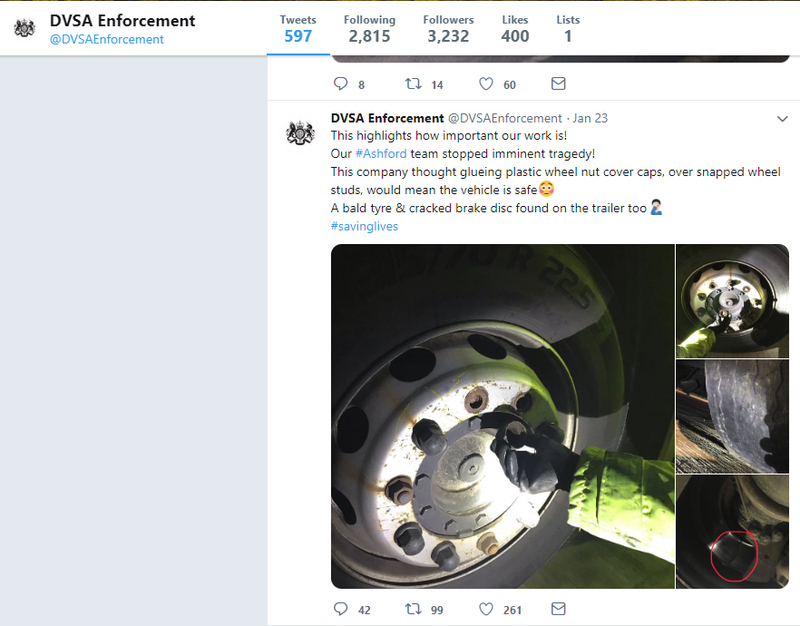 Or this one, which explains how a company was caught for overloading, swapped the excess into a second vehicle, and then was caught further up the motorway having swapped it all back again. We’re not sure if it’s the real life photos, the sarcasm, or the enthusiastic use of the hashtag #checkyournuts, but this is now our preferred reading every day during our coffee break. Go DVSA!